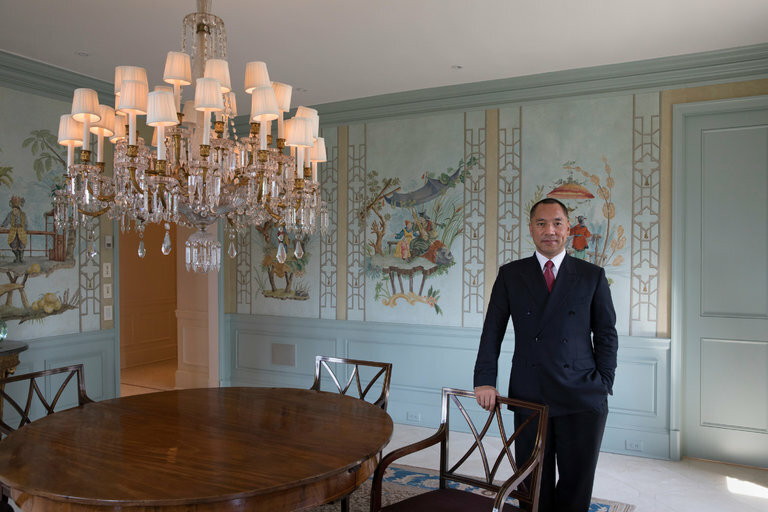 HONG KONG — A Chinese billionaire living in virtual exile in New York, Guo Wengui has riled China’s leaders with his sometimes outlandish tales of deep corruption among family members of top Communist Party officials. On Saturday, his tales proved too much for one of his favorite platforms for broadcasting those accusations: Facebook. The social media network said it had blocked a profile under Mr. Guo’s name and taken down another page associated with him. Facebook said the content on both pages had included someone else’s personal identifiable information, which violates its terms of service. Facebook investigated the accounts after receiving a complaint, according to a spokeswoman. “We want people to feel free to share and connect on Facebook, as well as to feel safe, so we don’t allow people to publish the personal information of others without their consent,” the spokeswoman, Charlene Chian, said. She declined to say who had complained. Mr. Guo did not immediately respond to a request for comment. The profile under Mr. Guo’s name was not verified. The move comes at a sensitive time for both the Chinese government and Facebook. China has taken several steps in recent months to clamp down on public discourse ahead of a major Communist Party gathering scheduled to take place this month. President Xi Jinping, the party’s top leader, is widely expected to use the meeting to cement his power and to make personnel changes that could have wide repercussions in coming years. Chinese leaders, who prize stability above all else, want the meeting to go off without a hitch. Last week, Chinese officials largely blocked the WhatsApp messaging app, which is owned by Facebook.